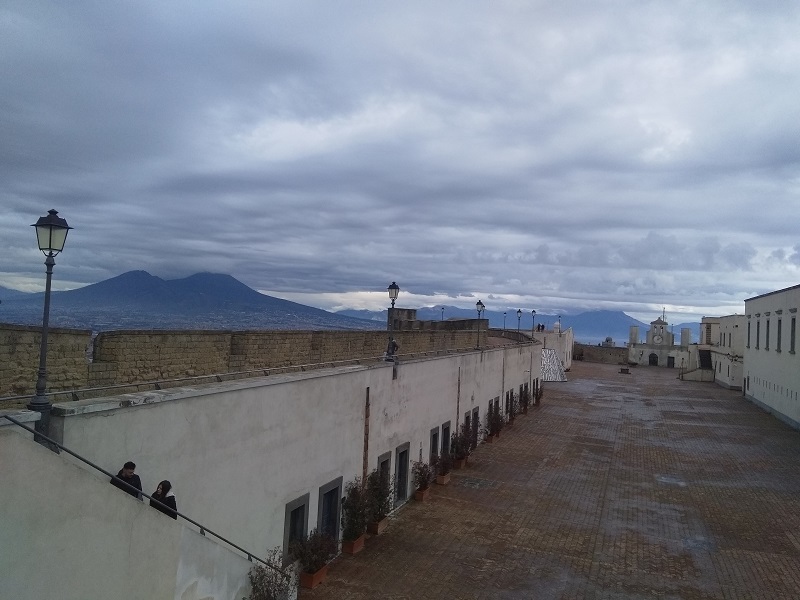 Someone told me Castel Sant’Elmo (Castle Saint Elmo) has the best views of Naples. That’s true. I visited the castle today and have to say the views from the top are incredible. You can see the whole city stretching out below you in every direction. The Castel Sant’Elmo entry fee is only €5. I consider that cheap. In fact, the low cost of getting into the castle actually came as a surprise. 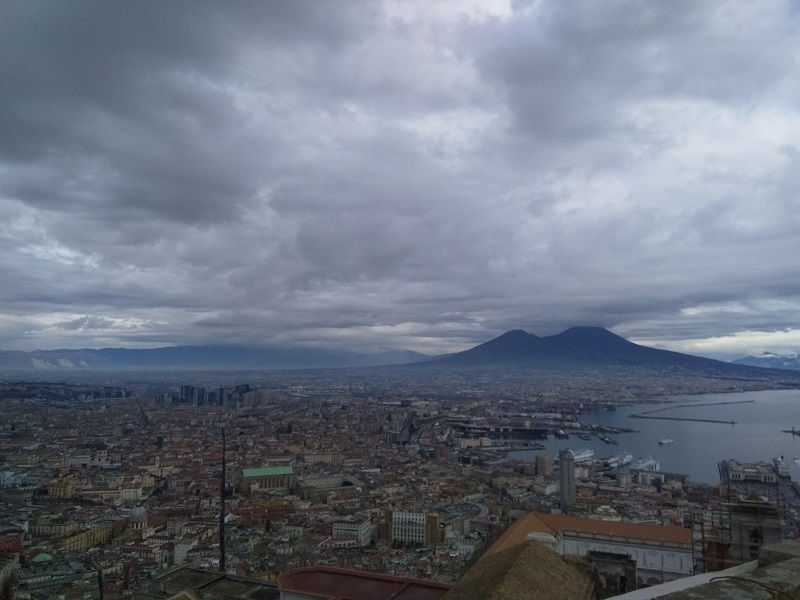 Naples is probably the most expensive city I’ve ever visited so €5 was nothing. You can pay €6.60 here just for a glass of beer. Castles aren’t really my thing. They don’t interest me much, but I’ve been to a few in England and a couple in the Netherlands as well. Castel Sant’Elmo is in better condition than any castle I have visited in the past. It’s very impressive. One of the things that interested me most was the fact that it has a couple of elevators. So, you don’t need to walk to the top if you don’t want to, you can take the lift instead. I took the lift up and walked down. The views from the very top of Castel Sant’Elmo are the best, but the ones from the level below are nearly as good. 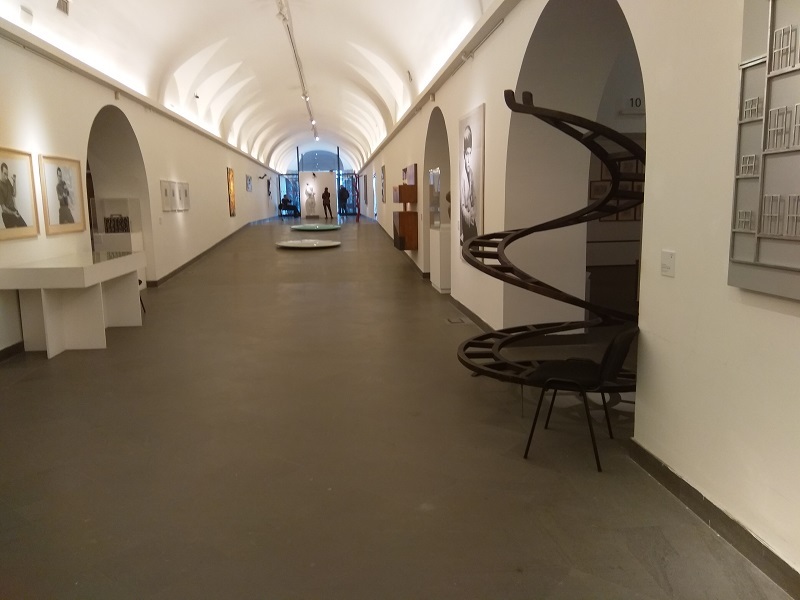 Apart from fantastic views of Naples, Castel Sant’Elmo has something else on the top level that is interesting to see—the Napoli Novocento museum. The Napoli Novocento is home to some unusual contemporary art. I’m not really one for going to museums, but I was in the vicinity and there was no need to pay anything extra to enter so I went inside. The last time I went to a museum it was full of torture devices. 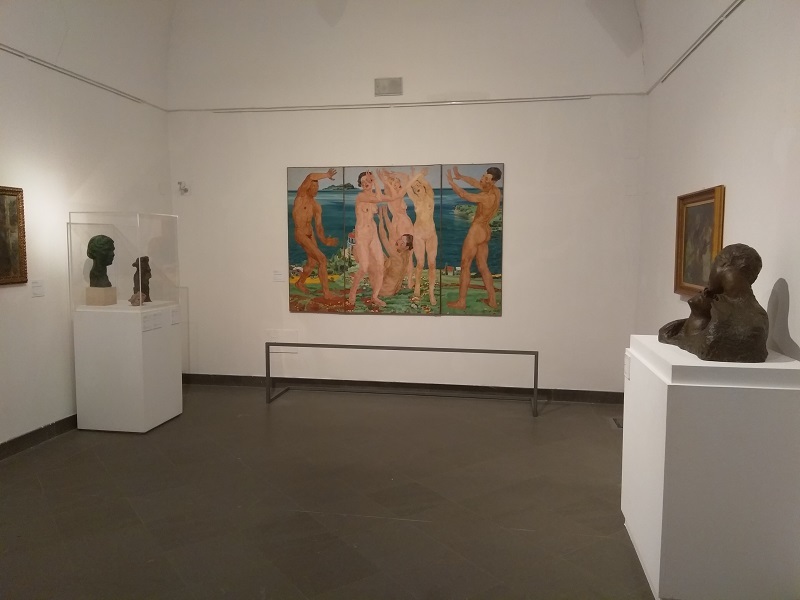 The Napoli Novocento museum was a more uplifting experience and the museum is so clean and modern-looking inside, it’s easy to forget you are actually on the top of a castle that’s several thousand years old. 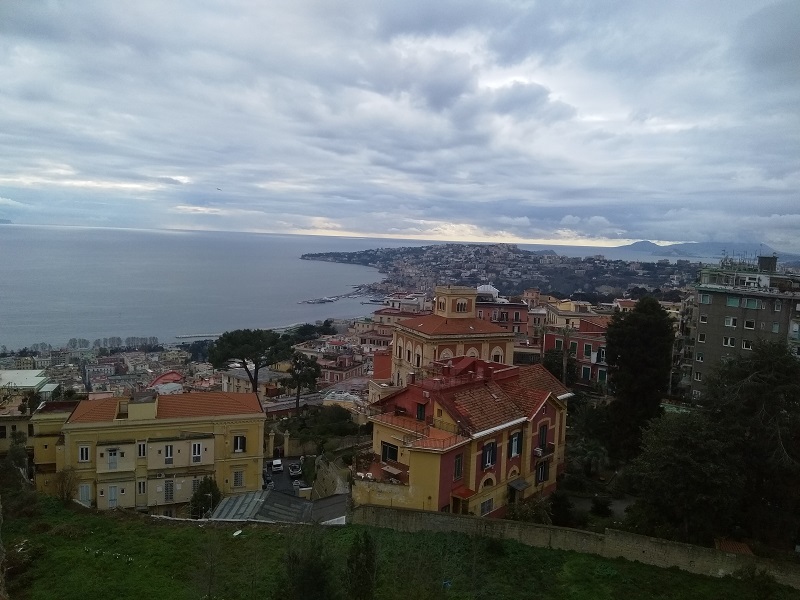 I have no idea if the other castles in Italy are in such good condition as Castel Sant’Elmo, but there are two more castles here in Naples and they appear to be in excellent condition too. 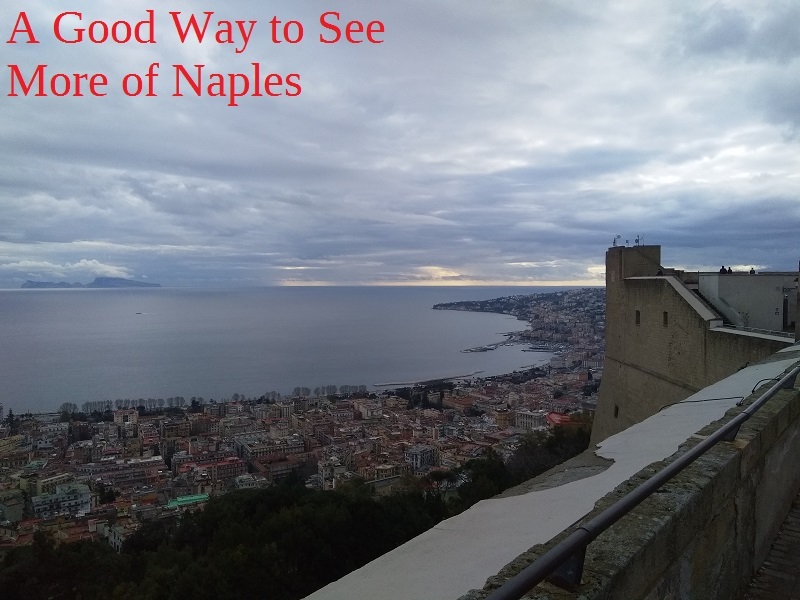 Both of them are visible from the top of Castel Sant’Elmo and when you walk past them you are not looking at ruins. Speaking as a Yorkshireman I’d have to say they appear to be in pretty good nick. Previous Article Previous Article: Caretaker Gazette Review: Are the Scam Allegations Warranted?